As the world’s go-to 7 year-old for pretty much everything, I had strong opinions about the Game Boy when it was released. Mainly that the Game Boy only plays baby games that weren’t cool enough to be on my “Intendo.” Or it could have been that I was jealous because the only Game Boy in my house was technically owned by my older sister and she never let me play it. Regardless of my misinformation, the Game Boy did not truly step into its cool personality until Nintendo beat everyone over the head with its Play It Loud marketing campaign. (Take that, Sega!) It wasn’t limited to just Game Boys, but it did mark the beginning of Nintendo repackaging its handheld systems on a regular basis. 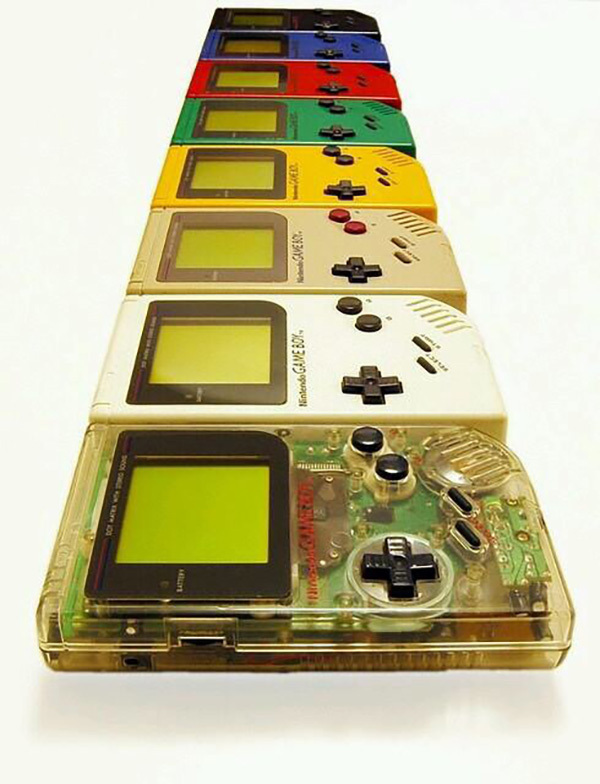 This fleet of multi-colored Game Boys got everyone’s attention. Even today you have to admit that the clear Game Boy was one of the coolest and most 90’s looking game consoles around. At least, it was much cooler than my sister’s dumb gray Game Boy for babies.